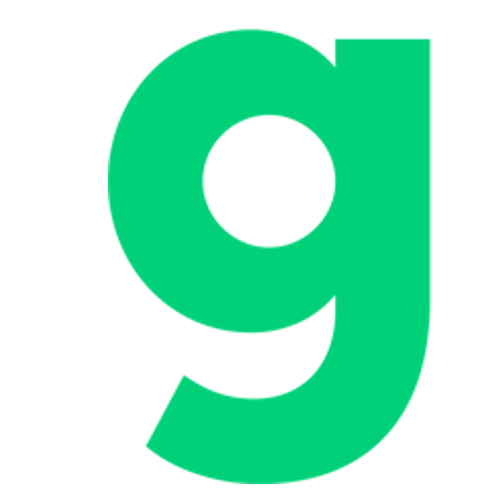 I pride myself on creating Bauer-Power years ago, and have it be a great resource in finding not just Windows program alternatives, but alternatives to expensive software in general. I am not a software developer, so my philosophy in technology has always been to spend more money on the hardware, and run open source whenever possible. That is why when I found a search engine that is dedicated to doing the same, I figured I should share it with you! The search engine is called Awesome Cow! 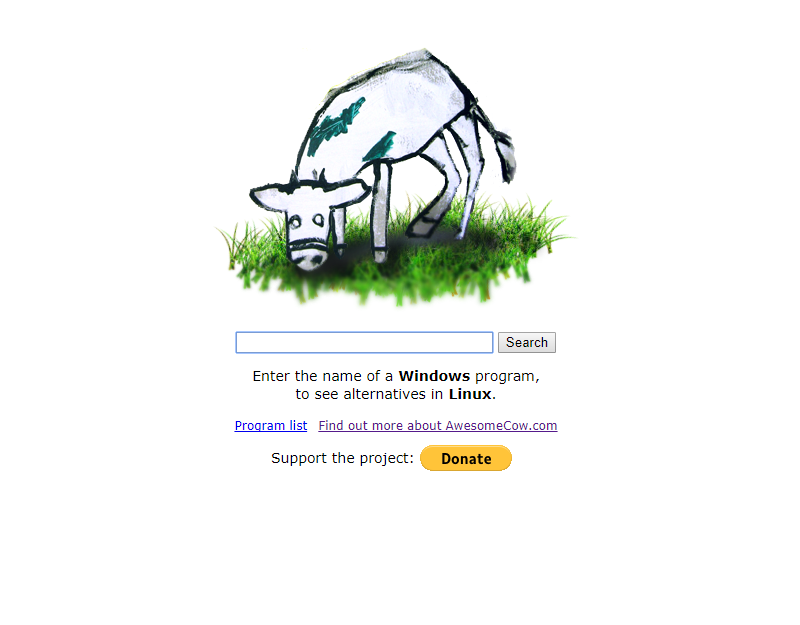 AwesomeCow.com - a search engine designed to help those who want to start using Linux, but this search can be useful for advanced Linux users too. 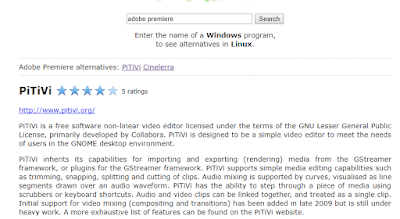 Search is simple to use - you simply enter the name of the program that runs on Windows and the search provides you with a Linux program alternative that can perform the same or has a similarly functionality. 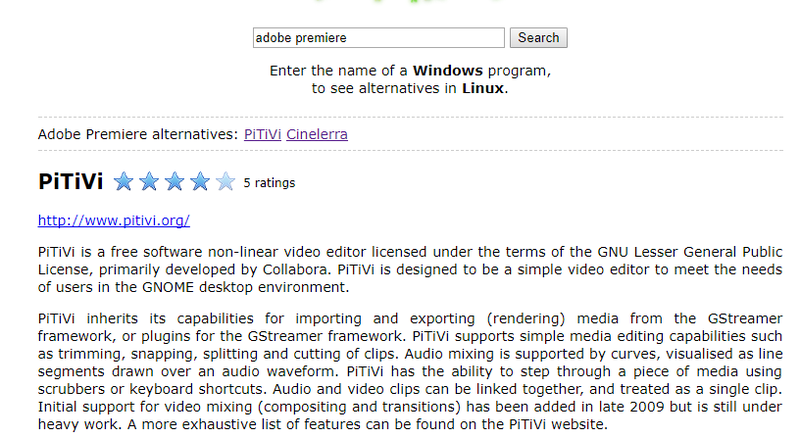 And it came back with two Linux alternatives, PiTiVi and Cinelerra! Pretty slick right? Bookmark it, and the next time you're thinking of blowing your money on expensive software, find an alternative and spend that money on a RAM upgrade or something!